Dropshipping is like having your own business with free setup. The main advantage of dropshipping is that you do not have to keep and purchase a lot of stock in advance to obtain any discounts, neither do you require any storage space. Hosting for your own domain websites are also extremely cost-effective, costing as little as a few dollars per month after first year free trial. Your website can be installed and ready to make sales within 30 minutes. Your own VIP domain store websites will have your own membership systems, you can accumulate your own membership, and send email offers to your buyers as you like. It can easily attract repeated purchases from your website. How does DropShipCN make money? We make our profits by buying in volume and then selling them to our members at a much smaller profit margin, leaving our member to make the majority of the profits. We buy in bulk and pass the profits to members. If you sold 500+ products per month and made $5.00 profit each of them, you can easily work out the potential profit margins that can be created, without even having to see, or store a single product. This is what makes dropshipping be so popular. What can you offer as a dropshipper? Anybody looking for making an additional income working from home should consider dropshipping services. The reasons are easy to understand. First of all, as mentioned above you never need to store any stock, a large bonus to most people looking for making extra income or start a business. Furthermore, this is an easy business model to run. All it needed is to promote your online VIP domain store website or resell on eBay and place you orders on our website if you get orders from your buyers, and you are done. We will handle all the left, like customer services, email enquiries, shipment handling and so on. If you started a business doing anything else, other than dropshipping, you would have to source products yourself to buy, pay for them in advance, find offices to store them or have them to store up your home. Most importantly, it requires you to invest a lot money in order to start the business. Dropshipping bypasses all of that and creates for you a simple, ready-made business that is just a few mouse clicks. It is just a case of processing orders, without getting involved with storing, packaging or posting them. You just use our website to place orders and receive profits by Paypal biweekly. How easy is drop shipping in reality? In fact, drop shipping could not be easier. Once you have received an order from your buyer, you would then simply log into your own website, place the order with your buyer's delivery address. We then post the item directly to your buyer. Are there any minimum order amount requirements? Definitely not. There are no minimum order amount requirements. If you only sell one item per customer, you only need to place the order for one item . You only need to place orders as, and when you receive them. You have no pressure to place a minimum amount of orders, and we will never ask you to place any orders you do not need to. Are there any extra charges to have my orders shipped? Once you have become a member of DropShipCN, the only charges you will pay are for your orders to be shipped directly to your buyers. We do not keep any commissions or other payments. The profit you make from the sales is 100% yours to keep. All you pay us is the price you see on our website. It does not matter how much profit you make. It is yours to do with as you please. Do you put any company details on the packages or on the products? 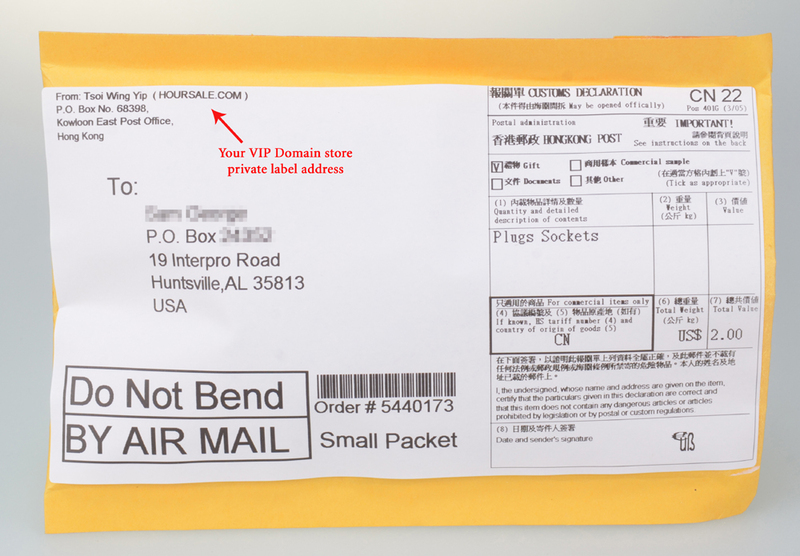 No, we do not place anything with our company info on the packaging or products we send on your behalf. 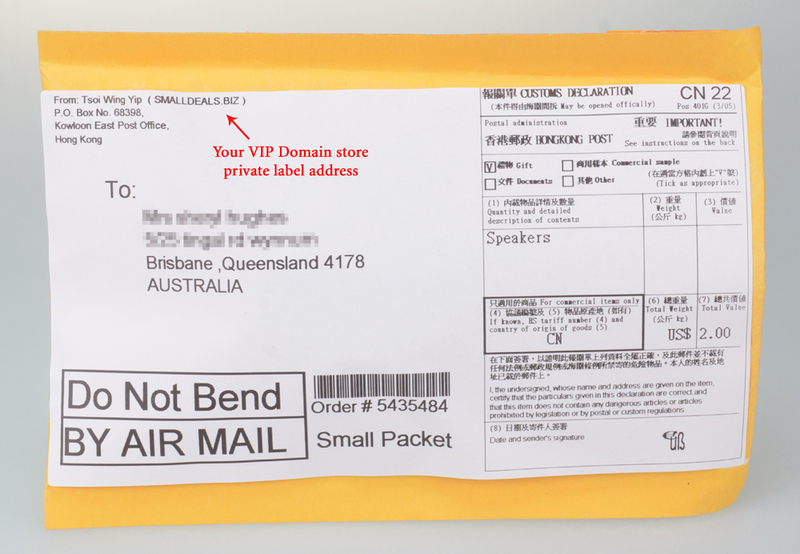 On the contrary, we will print your own VIP domain url on the shipping address labels. All items are posted and shipped out on your behalf, and protective packaging with mention of your domain url (Here are the samples 1, 2 and 3). This is the whole point of using a dropshipper in the first place. The product is deemed to have come from yourself. As far as your customers are concerned you are an organized business sending high quality products, and posting them within 24-48 hours. We accept paypal which is 100% safe. Paypal is used popularly all over the world, which accepts online and mobile payments anytime and anywhere. We send you profits from your own domain website by Paypal. Therefore, to do online business, owning a Paypal account is a must, it is free to sign up. What if a customer receives a faulty item? In the unlikely event that your customer received a faulty item, all we would ask is that the item is returned to us and we will either replace or refund the item for you. It is obviously in our best interest to keep all buyers happy, and in turn the chances of them buying further products from you is increased. Do I need to have some kind of business name? You do not need a business name to start up using DropShipCN. We sell to individuals, wholesalers, and other organizations, without the need for a business name. Where do you post orders to? 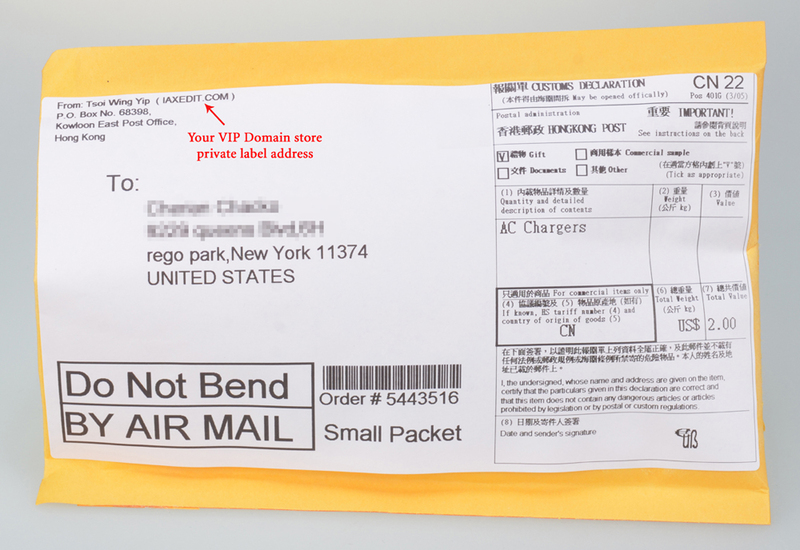 DropShipCN posts orders by airmail with free shipping charge. We have customers and members in all four corners of the globe and we are well known for our efficiency when shipping items all over the world. If on the other hand you choose to sell internationally, then our dropshipping services cater for that too. Will you always have stock of an item? Of course there are always occasions when all businesses go out of stock at some stage, and please bear in mind that we hold many thousands of product lines. Although, we have integrated an efficient system which allows you to keep control of your sales at all time. For items selling on your own VIP domain websites, all items sold are in stocks, if it is out of stocks, it will shown the latest out of stock status on the items, that means no members will order items not in stocks. As we talked above, we do purchase and keep our stocks ourselves, for those hot selling items, we will keep much more inventories in order to avoid the out of stocks issues. When you decide to join DropShipCN dropshipping services, use our services to earn extra income, you will instantly gain access to contact our customer service representives, who work 6 days per week to serving your every need. There will always be a member of staff on duty to answer any question you may have. Our customer services even work on Saturday, ensuring the best all round support you could ever require. Who will be responsible for the customer services if I join the VIP domain store website services? Owning your own VIP domain store website with DropShipCN, will open up a whole new market to you. You will then have the opportunity of making additional sales and profits directly from the domain website like other ecommerce websites do. DropShipCN staff will be fully responsible for the customer services, order enquiries, shipment returns for refund or exchange, shipment losses and so on. We will use "support@secureorderservices.com" as email sender, which means your customers will never know that you are using our drop shipping services. Why should I use DropShipCN, when they are many other dropshippers around? DropShipCN, as a dropshipper, has been in dropshipping for our customers for more than 5 years. We are the #1 China's B2B drop shipping service provider who have own our own warehouses, and purchase and keep stocks ourselves in timely manner. We are now one of the largest dropshippers all over the world, with not only the potential largest product ranges, but also with the largest membership bases. This means that we have the greatest bargaining power when purchasing stocks with our suppliers than any other dropshippers. We are trusted and relied up to not only provide excellent customer services, but also follow through on our promises to find out the best value products for our loyal members. Sign Up DropShipCN today, and join a team that has every interest in helping you succeed.